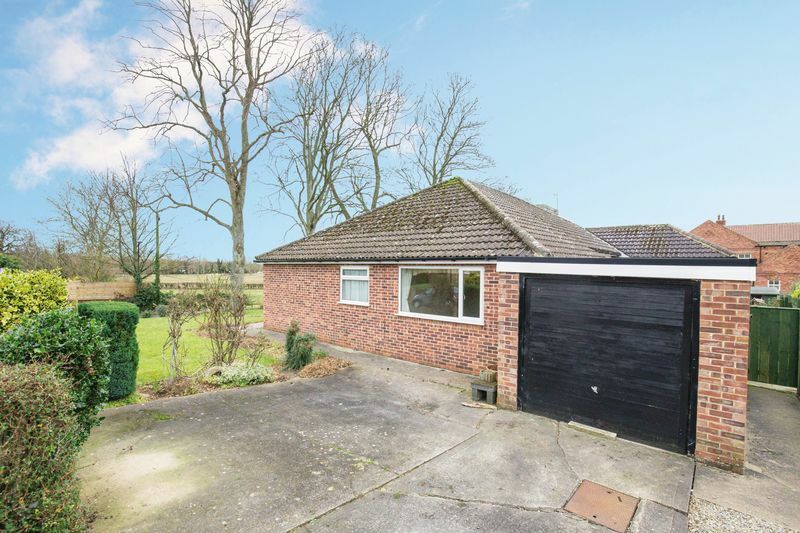 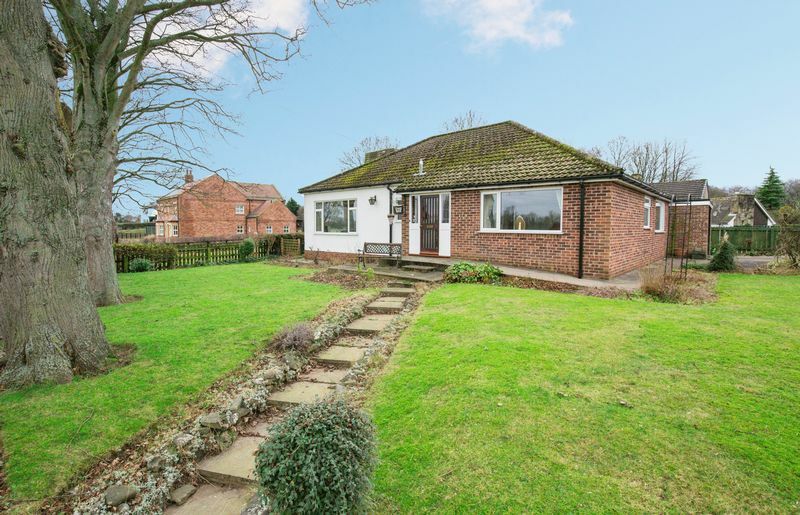 A spacious and extended detached bungalow, occupying an elevated position and enjoying an open outlook with rural views to the front. 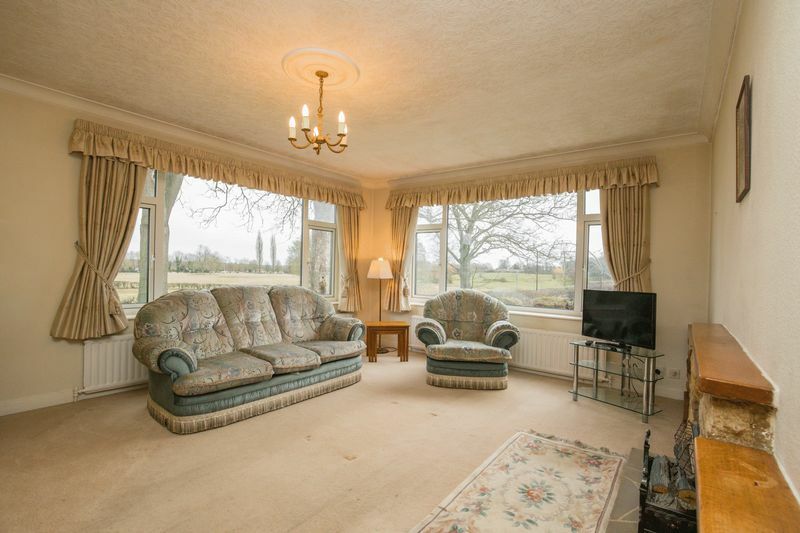 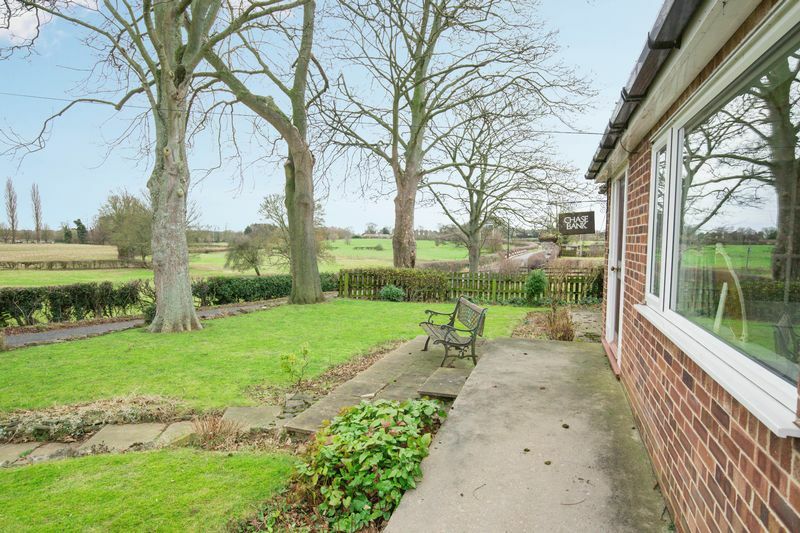 Situated on the outskirts of Ripon, the property offers the countryside on your doorstep, whilst also only being seconds from amenities and transport links. 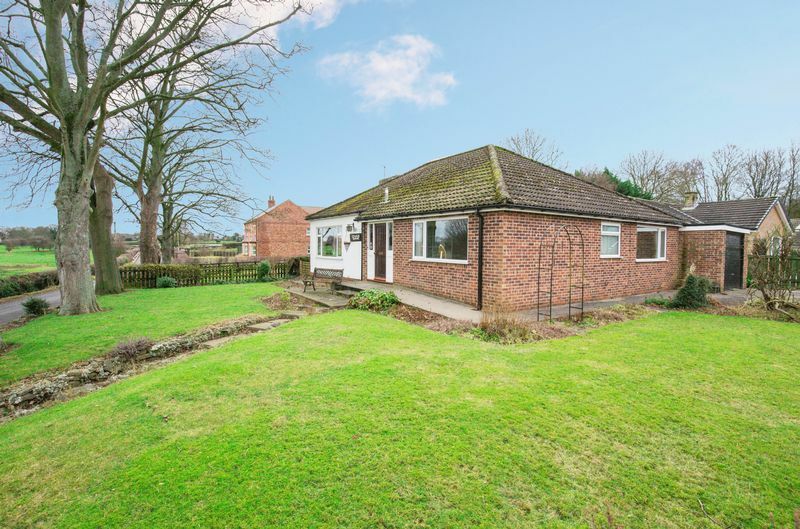 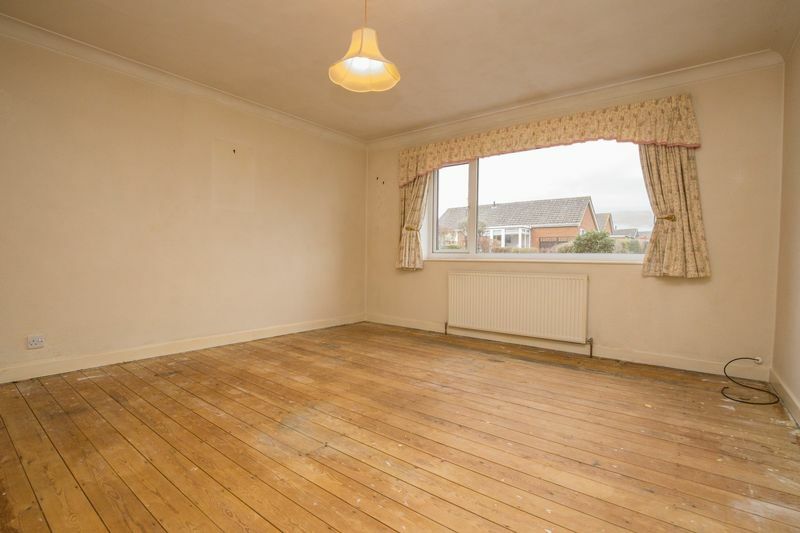 Already extended to the rear, the property offers the opportunity to modernise and further scope to extend (including the loft space), subject to necessary consents. 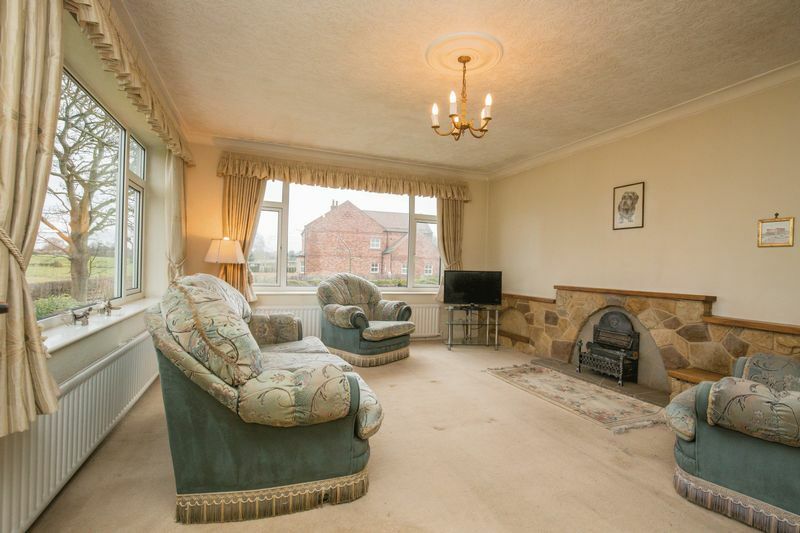 Accommodation briefly comprising: entrance porch, entrance hall, double aspect living room with fireplace and an open aspect, dining room, kitchen, utility room, three good size bedrooms, bathroom and further shower room. 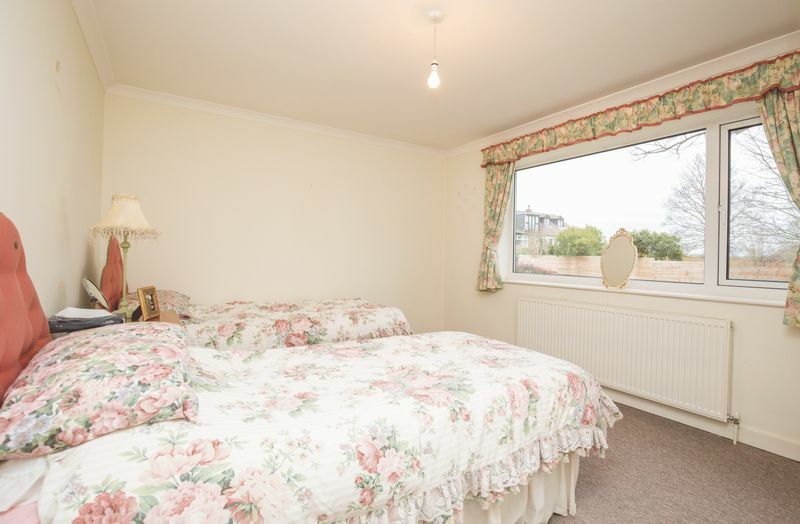 Externally the property is surrounded by gardens, offering a mix of lawned areas and low maintenance patios, there is also a single garage and driveway parking. 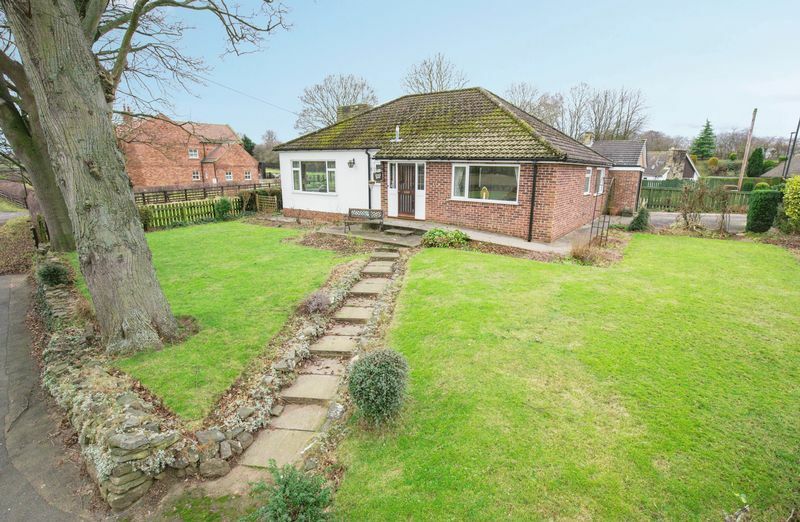 Sold with no onward chain, the property is a must for anyone looking for a bungalow with modernisation potential. 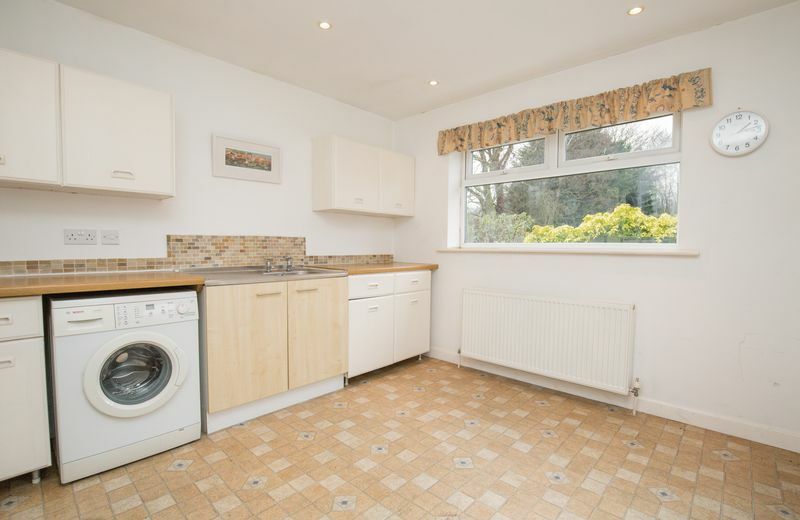 Double glazed window to the rear elevation and a half glazed side entrance door, wall and base units with rolled edge work surfaces and tiled splash backs, space and plumbing for washing machine, stainless steel sink, central heating radiator. 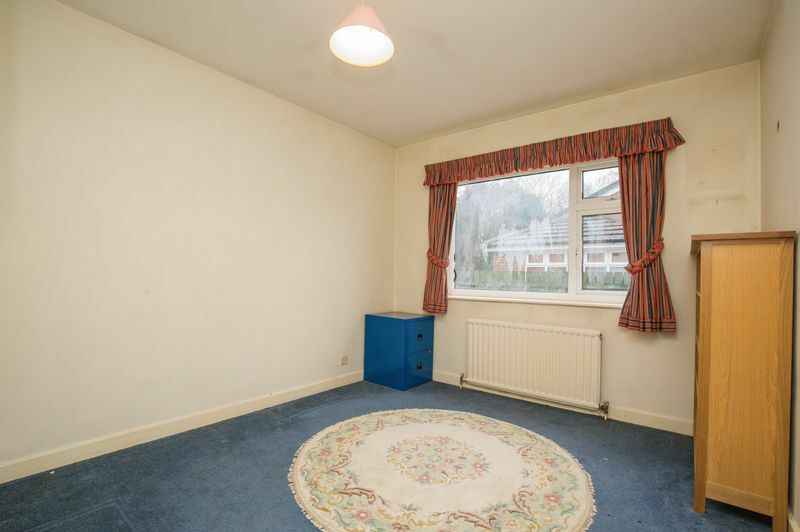 Double glazed window to the side elevation, central heating radiator. 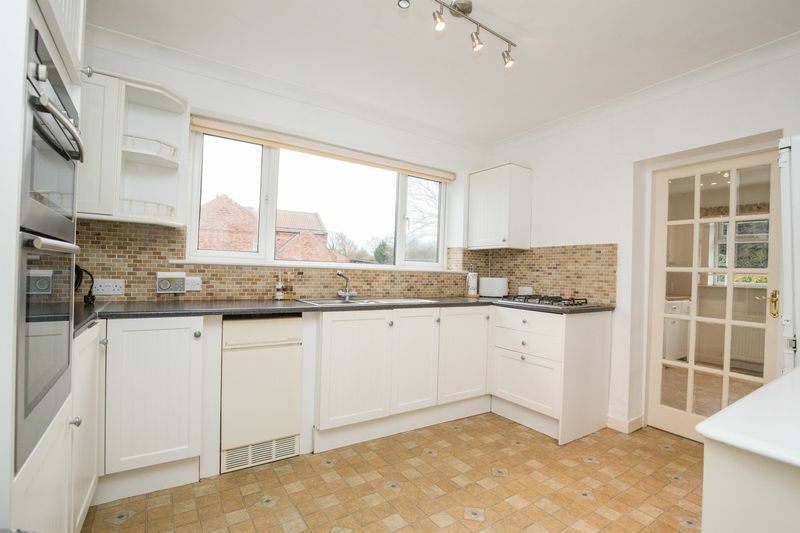 Central heating radiator, double glazed window to the front elevation enjoying an open aspect, fitted storage cupboard. 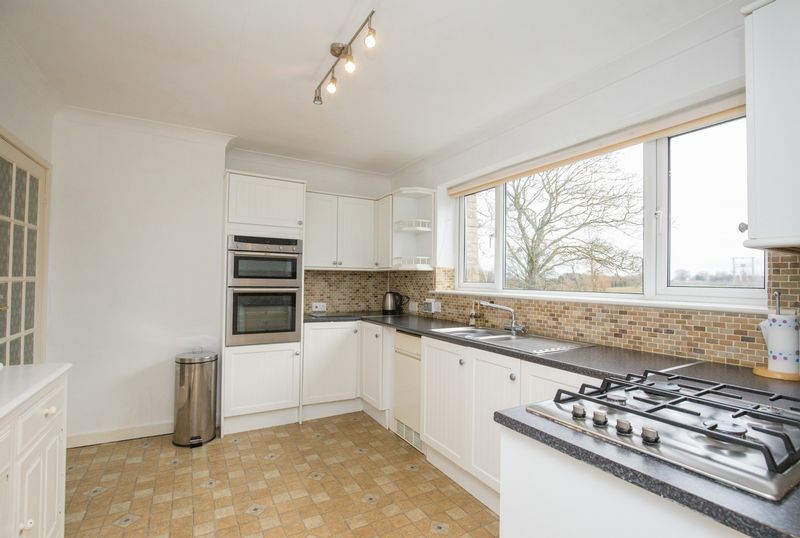 Double glazed window to the rear elevation, fitted storage cupboard, central heating radiator. 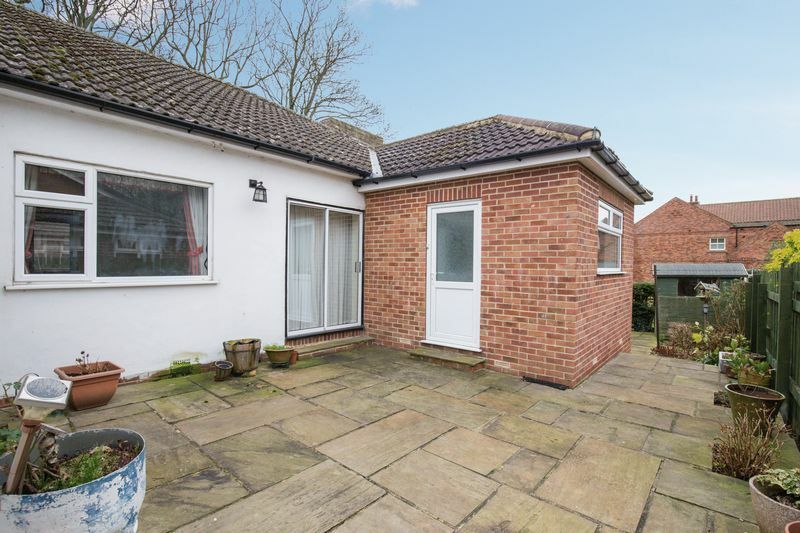 Fitted with a wash hand basin, toilet and bath, frosted double glazed window to the side elevation, central heating radiator, fitted storage cupboard. 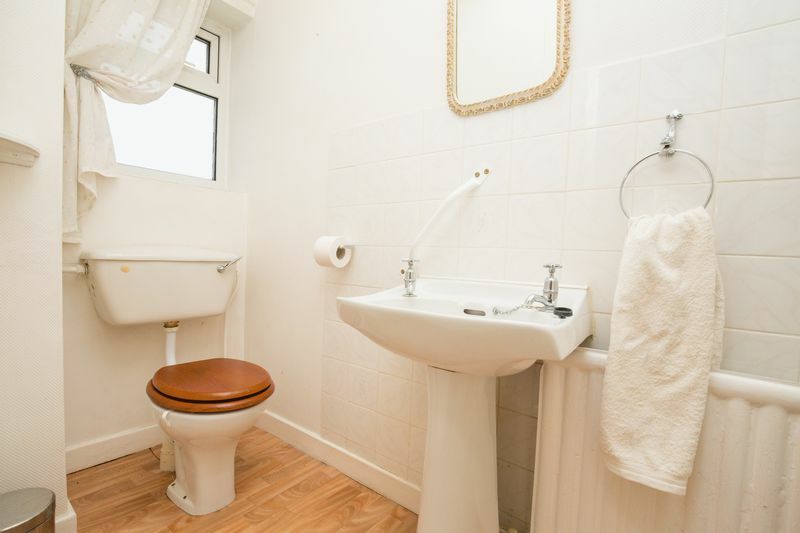 Double glazed window to the front elevation, wash hand basin, toilet and shower cubicle, central heating radiator. 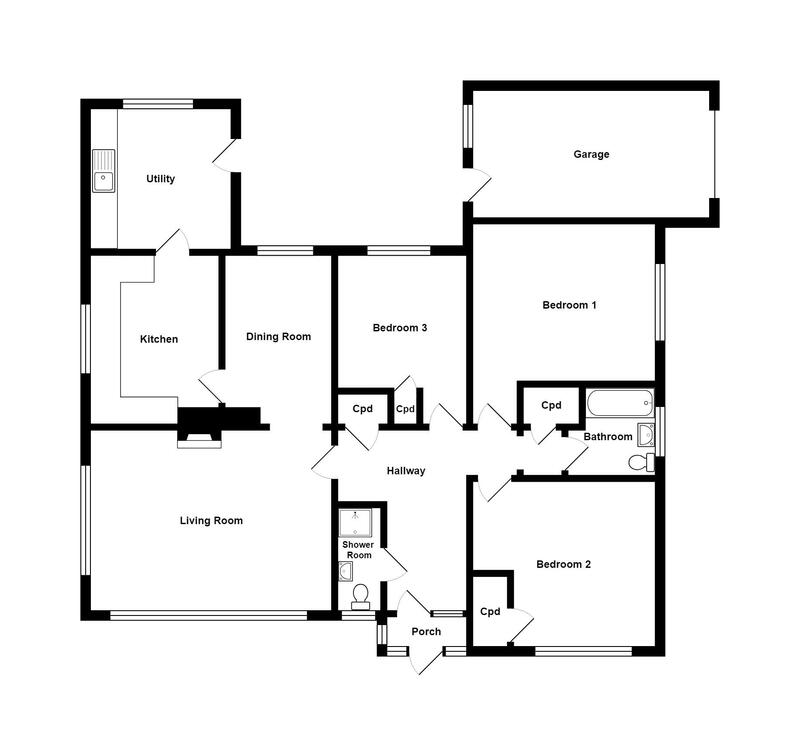 Up and over door, further rear entrance door, window to the rear elevation, power and light. 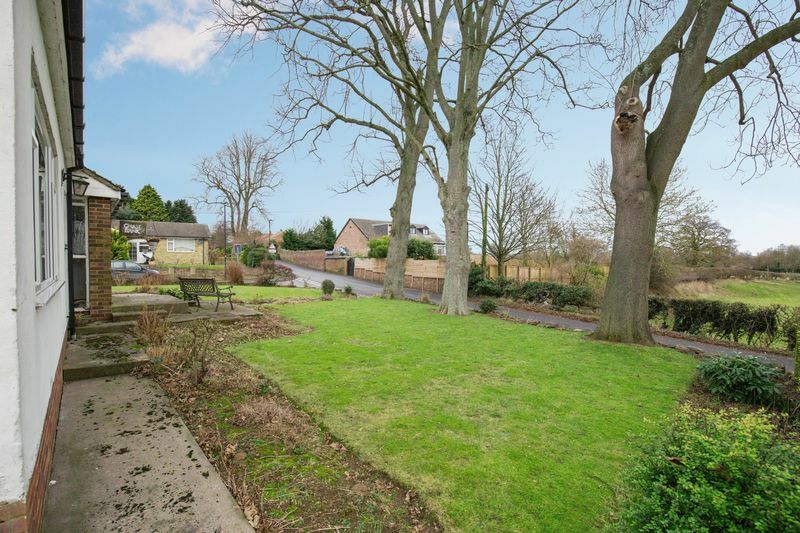 To the front of the property there is an open garden, mainly laid to lawn with stocked shrub and plant borders. 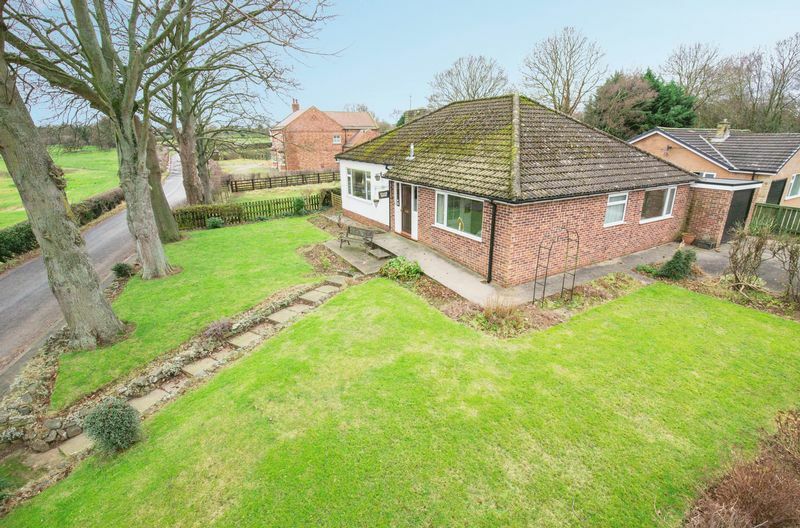 The garden continues to the side of the property, with a further lawned area, whilst there is also driveway parking and vehicle access to the garage. 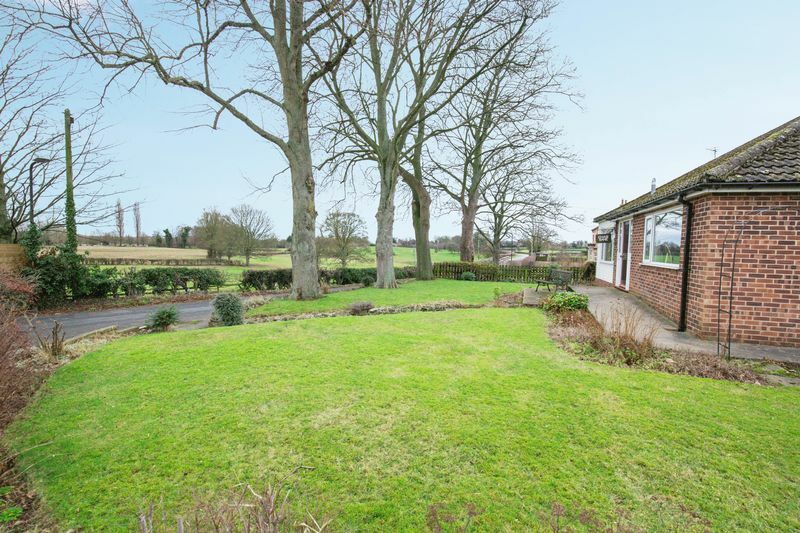 To the rear and side of the bungalow, there are low maintenance paved gardens, making great seating/entertaining areas.